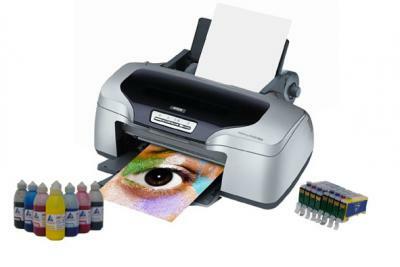 Buy Printer Epson Stylus Photo R800 with Refillable Cartridges and make 30 times more quality prints for the same money! **Via custom setting in printer driver. Otherwise 3mm top, left, right, 14mm bottom. Also bottom margin can be reduced to 3mm via custom margin settings.